Penang-born nightingale BIHZHU is blessed with a rich, soulful voice. 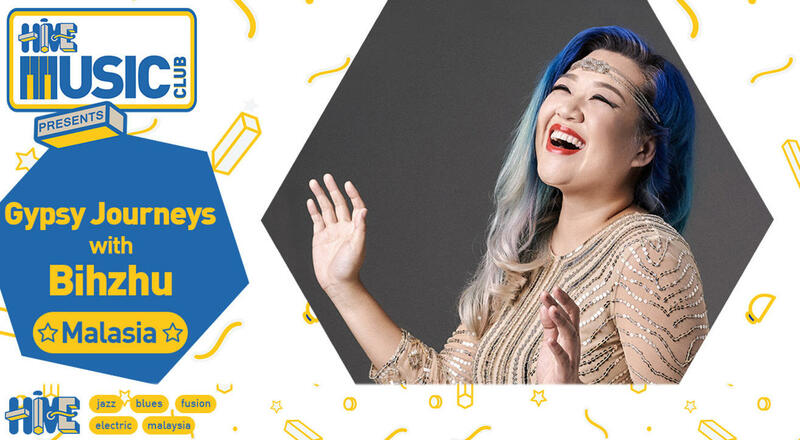 Combined with her genuine songcraft that she calls 'heart music', her charming presence has enchanted audiences all over the world, from intimate acoustic concerts to music festivals all over Malaysia, Indonesia, South Korea, China, and Australia. After years with pop-jazz band Rhapsody and dub outfit Layan Sound System, Bihzhu embarked on her solo career in 2011, launching it as a featured artist in Julie's Biscuits Nationwide 'Share The Love' campaign with her smile-inducing single, "The Heart Way". The infectious tune was also chosen for a Penang Global Tourism ad featuring the famed shoe couturier Dato’ Jimmy Choo on the Asian Food Channel that aired for 14 weeks in 10 different countries. Bihzhu also recently made a cameo appearance in the 2017 Penang Hokkien movie "You Mean The World To Me" directed by Saw Teong Hin, performing 'The Heart Way'. In 2011, her debut album 'Nightingale Tales' received much airplay on Malaysia’s national radio stations 9.88FM, Capital FM, BFM Radio, Traxx FM, AFO Radio, Hitz.FM, RedFM as well as the Los Angeles- based ‘Woman of Substance’ radio and Minneapolis’ Big Brain Radio Show in the United States.